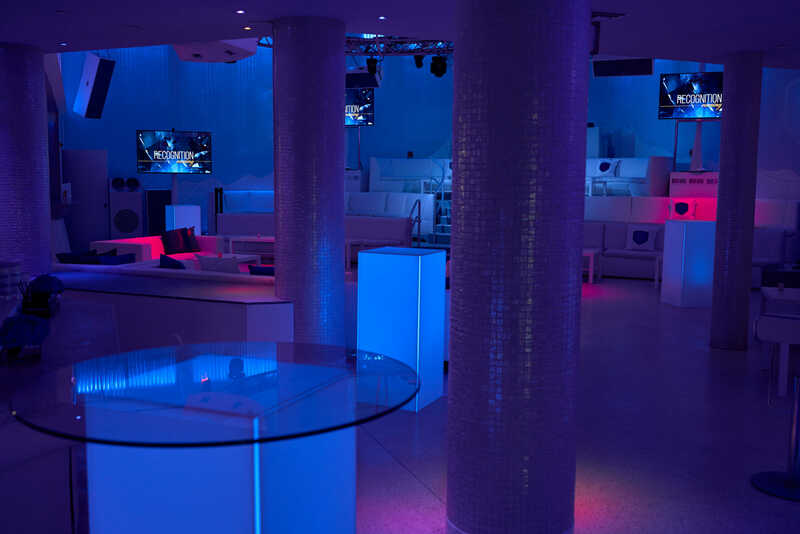 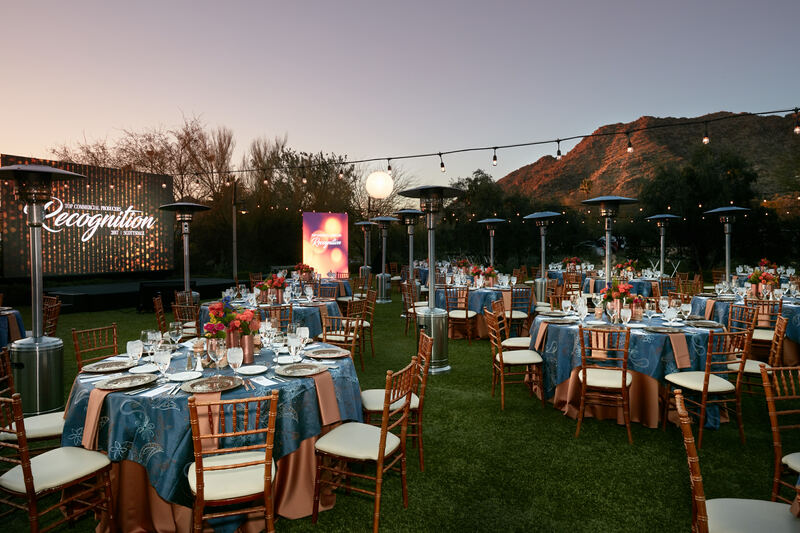  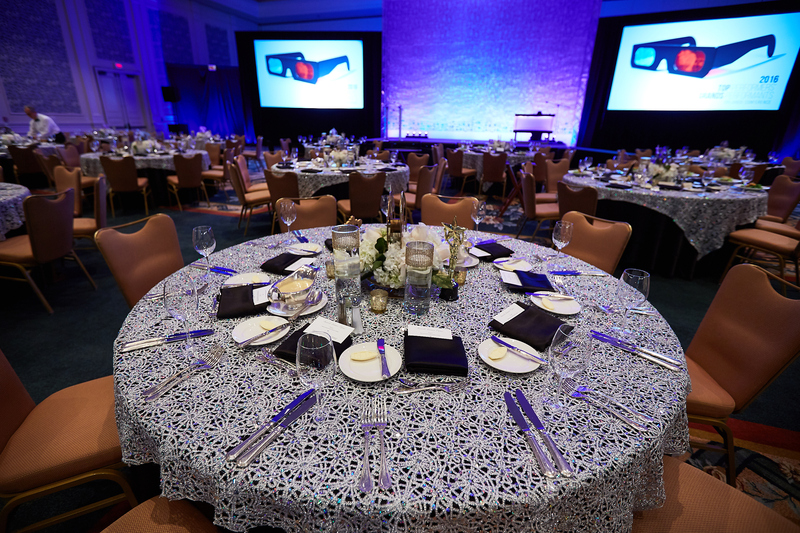 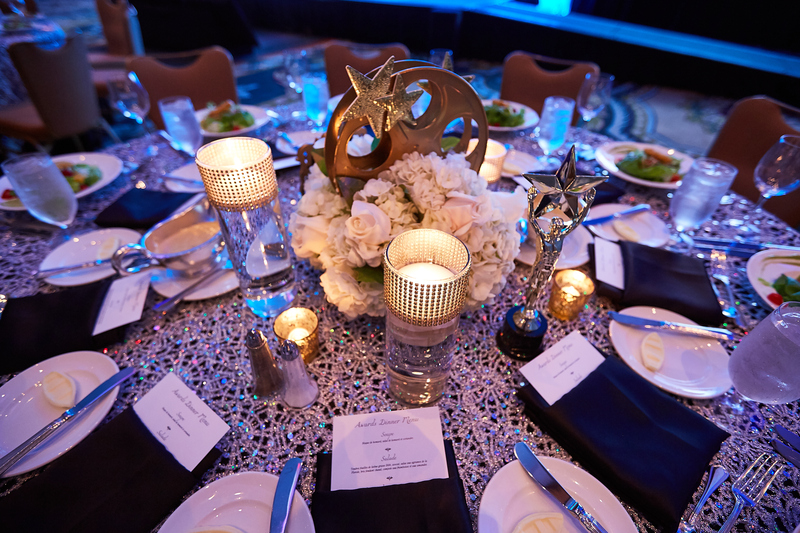 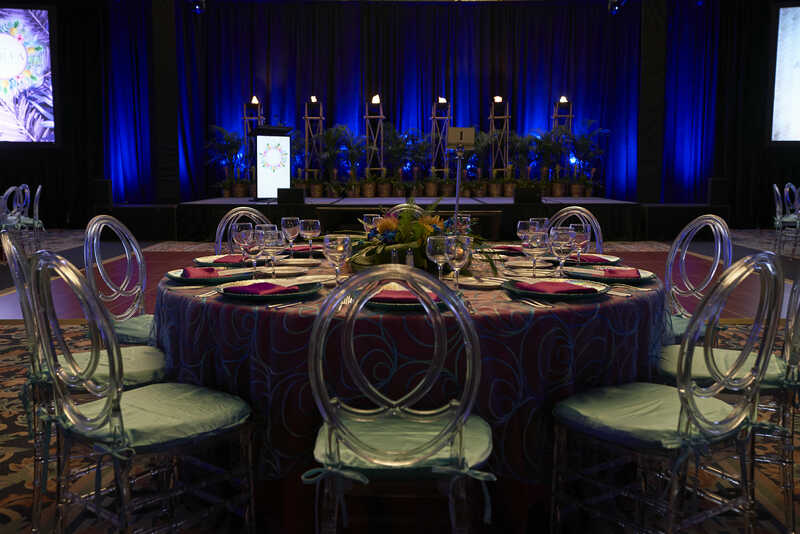 Following a day of meetings, attendees were treated to a “Hollywood” gala. 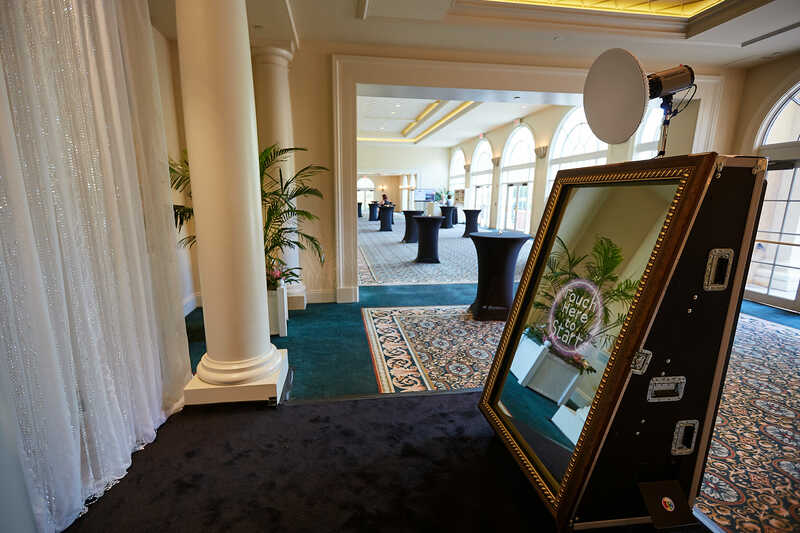 The cocktail reception included a photobooth that was an interactive mirror along with 2 bars. 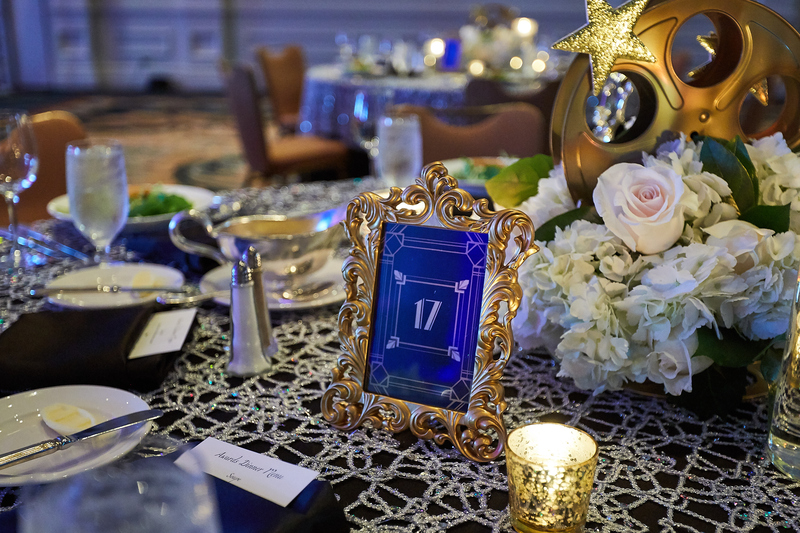 After the reception, the attendees were welcomed into the ballroom that was decorated with “Hollywood” center pieces and glittery linens. 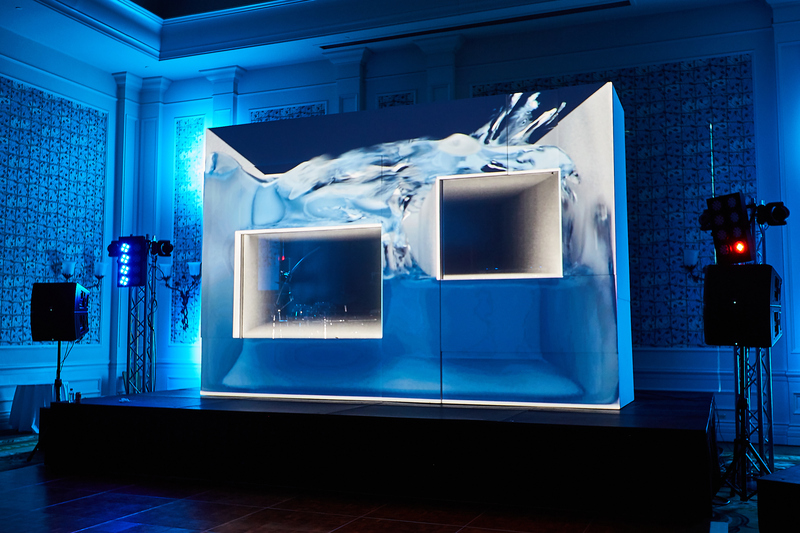 The entertainment for the after party was a dueling DJ and drummer, that were enclosed in a box with animations projected on the exterior to the sounds of the music.